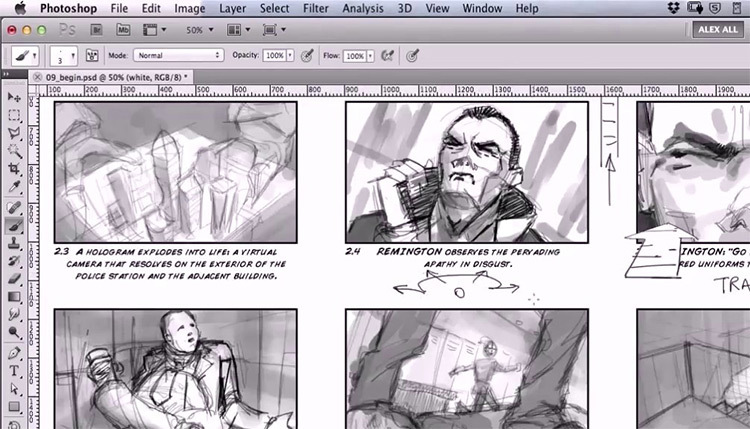 From action scenes to snappy dialogue, everything can be captured in a great storyboard. So what kind of software is best for storyboarding? And which programs offer the best features to support your creative projects? I’ll go through all the best options in this post and get you started on the path to magnificent digital storyboards. The team at Wonder Unit has developed some really cool stuff for filmmakers. 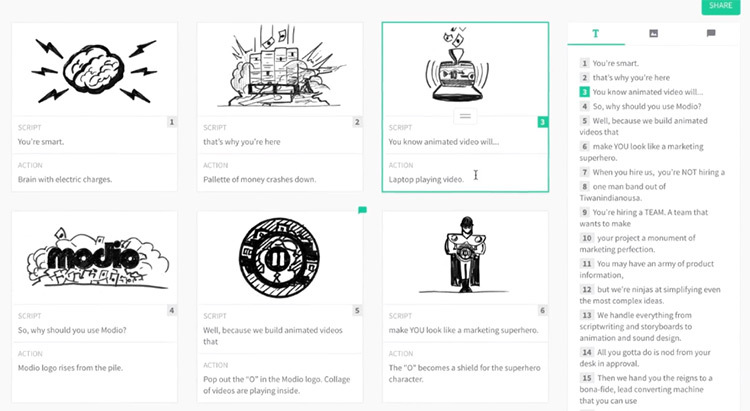 One of their coolest projects is Storyboarder, a free app made for visualizing stories. This runs on all 3 major operating systems and it’s 100% free to download and use forever. At that price who can complain? I’d think if you’re a newbie to storyboarding then you’d want to save money at every turn. That is why Storyboarder makes such a great choice for beginners who need a simple application to practice their boards. From a single screen you can draw each shot, add dialogue/stage directions, and even port the entire thing into Adobe Photoshop if you need a larger toolset. 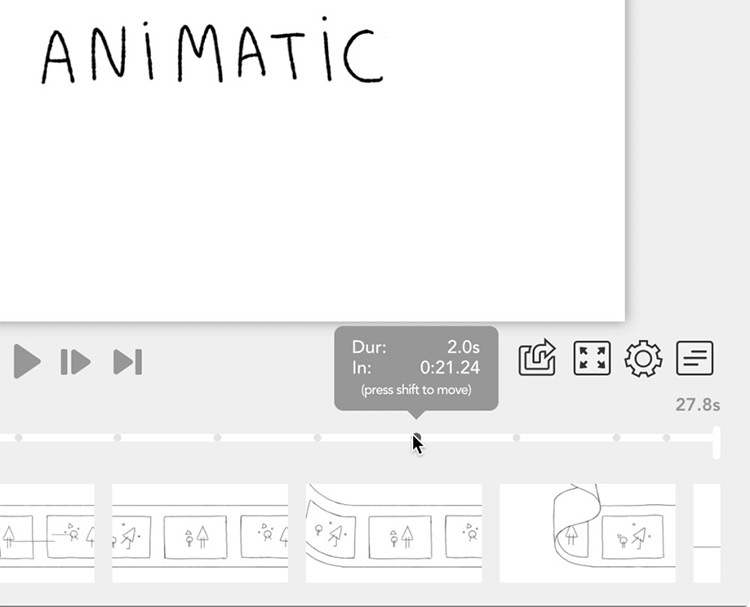 Also Storyboarder comes with a play feature so you can demo your boards in a slideshow preview much like a real animatic for animation. An excellent program for presenting to clients, or just for mucking around and practicing on your own. And you can’t beat that price tag. 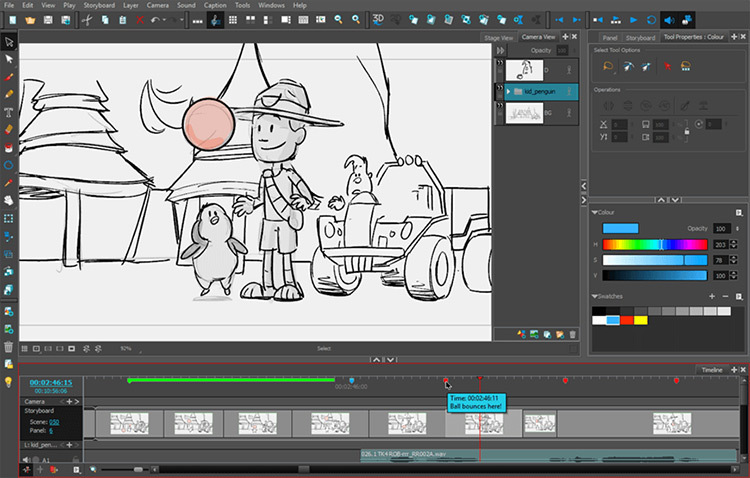 Looking at the complete opposite of free we’ll find Toon Boom Storyboard Pro. To my knowledge this is the most expensive storyboarding software on the market and it’s also the industry standard. A good majority of studios use Toon Boom for boarding & animating so this is something you may want to learn if you want to break into the industry. Now with that said, it does offer a cheaper monthly fee that most people could afford compared to the upfront cost. This monthly fee gives you a chance to test the waters and see what you think of Toon Boom without committing to a massive single use license. So what exactly does this program give you? Really it’s a combo of both sketching and animating together. It’s a way to sketch your boards and see how they’d animate, all while tracking your script to make sure your scenes are on target. Toon Boom is definitely more of an animator’s program. It can work well for ad agencies or for board artists doing small skits. But the Story Flow tool makes it a breeze for writers to switch between board & script to follow each sequence, each scene, and each act. You can also create dynamic camera movements along with some experimental 3D features that work nicely for 3D animators. Easily import scripts from Final Draft or export your layered panels for Photoshop. Plenty of support across all the typical art industry programs. 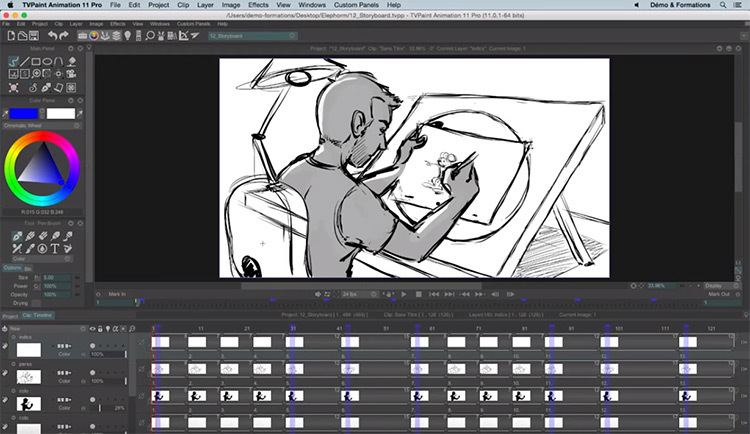 To put it bluntly: Toon Boom Storyboard is really the professional’s program. It is not necessary to buy this in order to create a pro-level board. However it would be worth learning if you want to work in animation someday. It’s been around for 20+ years and I don’t see it going away anytime soon. Although isn’t it funny how much Photoshop gets used for other things besides photo editing? We see it used for digital painting, pixel art, and of course for storyboarding. You can draw digitally just as well in PS as you can in other programs. In fact, I’d argue there’s even more support now with tons of brushes for the PS environment. Not to mention all the free storyboard templates you can get in PSD format specifically for Photoshop. I don’t think there’s much to say about this program because every artist knows about it already. The biggest downside is the lack of support for Linux users. But in general Photoshop is well-supported and managed by a trusted brand. Not to mention if you already use Photoshop for digital painting then you’ll know how to use it for boarding. Storyboard Fountain is a newer program that I found just recently. It’s exclusive to MacOS only so it’s not an option for Windows or Linux users. That said, if you do wanna give it a shot you’ll be impressed. You can download the program totally free of charge from the main website. It’s currently in beta so there are many features still being worked out and smaller bugs in the process. Once it does reach its v1.0 release I think it’ll stay free because the entire project is on GitHub. This means the source code is freely available and I doubt the creators would end up charging for it. I really like the interface and the sidebar flow works incredibly well at presenting scenes in a linear fashion. You can quickly spot scenes that need work and rearrange them without messing up the rest of the story. Take a peek at their preview video to see this software in action. Considering it’s limited to Mac users this will have a smaller audience. But I’m really pleased with the GUI and the many complex features of Storyboard Fountain—especially given the $0 price. Online SaaS products are quickly becoming “the norm” for software. I don’t think desktop programs will go away but we are seeing more web-based programs like Boords that offer great solutions. Boords works as a native storyboarding platform that gives you tons of free templates and collaboration tools. If you’re working with clients they can log into your project space and drop comments on the work right from their computer. You can also setup team accounts with multiple users if you’re working on a group project. Boords has flexible frame sizes, tons of free templates, and a really cool animatic tool for presenting your storyboards before animating. The monthly price is definitely affordable and this can work on every major operating system. Not many programs can offer this much functionality for so cheap. Anyone looking for a collaborative solution should check out Boords. It may not suit your needs but it does offer a free trial period to see if you like it or not. Typically I see FrameForge referenced more in the live action world. It’s still a great program but may not be the #1 choice for animators. Still, the art of storyboarding is not explicitly for animation. Plenty of marketing agencies need storyboards for commercials or small teaser videos. Same goes for complex movie scenes or indie filmmakers. The nice thing with FrameForge is that you can work just like any other program, but with a heavier focus on the script. It supports importing from the most common script writing programs like FadeIn and Final Draft. Plus you can easily jump back & forth between scenes to get an overview of the whole story. I’d recommend this program more for artists with an interest in directing and cinematography. It’s also fantastic for indie artists or aspiring filmmakers who want to get a new project off the ground without a huge budget. So this isn’t technically a piece of software, but rather a complex add-on to the Adobe After Effects program. Yet I think Prolost Boardo still belongs in this list because it almost feels like its own program. Not to mention plenty of TV & film artists will know the After Effects interface so it’s one of the best programs to work with. This add-on lets you easily tilt, pan, zoom, and handle many other camera directions with a few presets. And you have the power of After Effects to alter anything else you place on the screen. 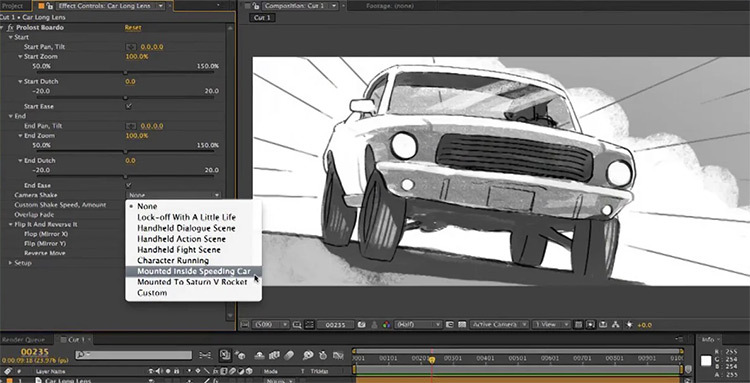 Add life to your boards with shaking motions and export everything into one final animatic, all from AE. Pretty cool! This add-on does cost money but it’s a one-time fee of $29. That does not include the price of the After Effects software but if you already have a license for that you won’t need to worry. 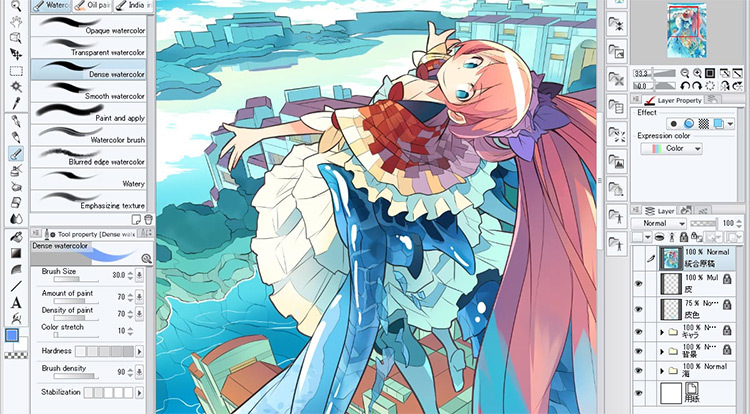 Many artists use Clip Studio Paint for drawing their comics and custom manga pages. 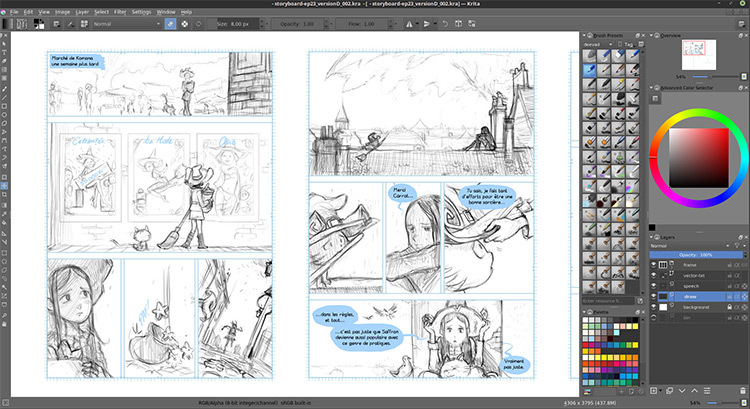 These work well because CSP has tools that help you structure pages with boxes in a comic-esque style. This also works nicely for storyboards since they take on a very similar look. You can design a CSP template page and use that many times over to design your storyboards quickly. Or you could download a PSD template and import that into the software. We recently covered a bunch of tutorials on Clip Studio Paint and it’s pretty easy to learn if you already do some digital artwork. It also comes at a reasonable price considering it’s one of the better digital drawing/painting programs out there. Will this work for everyone? Probably not. But I do think it’s a viable option similar to Photoshop where you have one piece of software that gives you everything you need: drawing, painting, sketching, and boarding. I want to include Storyboard That even though it’s not made specifically for artists. This free web-based program is made for quick informative boards and organizing stories fast. It does not directly support drawing beyond their pre-existing library of graphics. Or at least, I didn’t see a way to draw judging from their free plan. To use this program you’d need to pay a monthly fee and that grants you unlimited boards with far nicer tools. All that said I’d like to restate that I do not think this works well for animators. At least not in the serious scripting phase. Use this more for planning compositions quickly or just getting ideas down. Even if you don’t have any artistic ability, Storyboard That can work well. But I’d really recommend this program for anyone designing webcomics or small tidbits of visual information in a frame-by-frame format. Certainly a nice program for marketing agencies or anyone working with an ad company that requires storyboards. The more I look around the more impressed I get with free art software. It seems like the open source movement really has grown rapidly with no end in sight. OpenToonz is a very nice open source program for storyboarding. I still personally like Storyboard Fountain a little more if we’re talking about free options, but with OpenToonz you can run Mac or Windows which is nice. The software is based on an original 2D drawing program Toonz which was used and customized by Studio Ghibli. OpenToonz is the free open source alternative to that. It’s still under active development but it does have a lot of neat features. I specifically like the visual story mapping that lets you connect different scenes together and organize your storyline in a flow chart. With that said, I do think the painting features need some work. OpenToonz doesn’t even come close to a powerhouse like Photoshop in regards to digital painting so it may not suit all your needs. But for a free program it works very well. Especially if you’re just sketching boards and organizing a small story from scratch. Totally free, open source, and surrounded by a loving community of artists. What more could you ask for? Krita has to be the fastest-growing open source painting program on the market. It’s got hundreds of free brushes along with tons of handy tutorials for beginners to learn the ropes. That said, Krita is not really a storyboarding program. It’s a digital drawing & painting program. But here’s why Krita makes the list: it’s totally free and easy to learn! 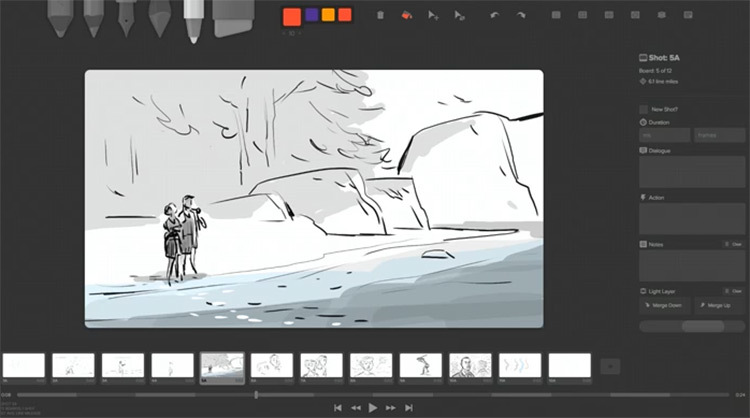 Many storyboard artists like to draw or paint their work in color. And most storyboard artists enjoy just being artists, whether that’s drawing their own characters or doing some digital paintings for fun. Krita lets you do all of this from one program with one set of tools, all at no charge. And it runs on every operating system so there’s plenty of support for everyone. If your drawing tablet has working drivers you’re good to go. As of this writing I have not found any Krita storyboard templates that match the dozens of PSD templates out there. But you can export a PSD into a PDF file and import that into Krita yourself. Not the simplest option but it’s a great way to bring templates into a Krita workflow. In general I’m a huge fan of Krita and really do recommend giving this a try if you need a free painting program. This software will be around for years and it’s only getting better with time. Plot makes visual storytelling super easy. For $10/mo you get unlimited boards, unlimited projects, and unlimited add-on users. It’s basically the web-based equivalent of a beginner’s storyboarding app with some nice features that apply to animators too. With this program you can run any operating system and still get access to a drawing pane. This way you can easily draw your frames and import them directly to your project, along with added dialogue and stage directions. Since the app is visual you can easily change scenes just by clicking and dragging different pieces around the page. Easy peasy. I also think the collaboration features are exquisite and far beyond other programs of this price range. Now if you can work out your drawings in a desktop program you’ll definitely have more control. Then you can always import those drawings into Plot and organize them accordingly. This way you’ve still got collaboration features with very detailed drawings all managed online. You can try Plot’s free demo if you visit the homepage and click “create free storyboard”. Might be worth a quick test run. 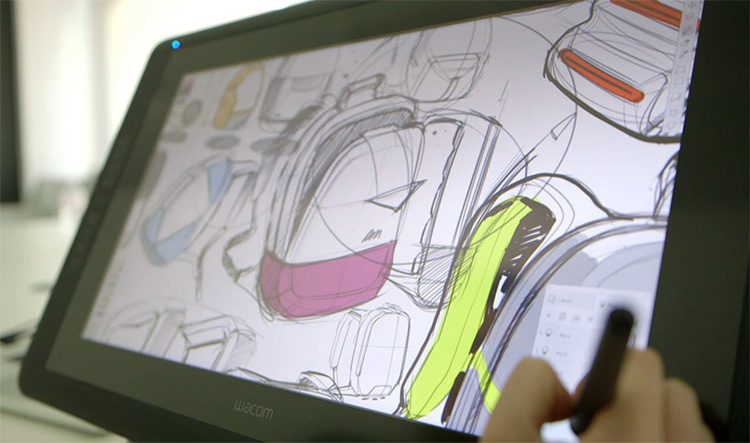 Mischief is custom art software made for drawing and sketching. You can find out more on their homepage and in this piece published by ArtStation. Suffice it to say this program is pretty darn cool. It is not designed explicitly for storyboarding, however it is designed for continuous drawing and rough sketching without excessive tools getting in the way. Because of its simplicity you can easily dive into Mischief and start boarding ideas fast. Almost no learning curve here. I’d consider Mischief more of an idea program for artists. This is the best way to get your ideas down onto a page and see how they work in visual form. No messing with templates or worrying about formalities. Also this program has a really cool feature infinite canvas which lets you just keep drawing onwards into infinity. Your boards may feel a bit messy in this format but you won’t be hindered by any square borders or edges on the page. Keep on drawing to your heart’s content and get those ideas down! Best of all Mischief offers two plans: one totally free with limited features and a pro upgrade for $25. Creative Bloq published a review of this program if you wanna check out their opinion. But really it’s just a neat drawing program without limits on your creativity. TVPaint is a fairly common program within the entertainment industry. However it does not have the same market share as Toon Boom so it’s not as well known or as powerful(in my opinion). Yet many animators do enjoy TVPaint including veteran Disney animator Aaron Blaise. He publishes online art courses for animators and most of them feature TVPaint. 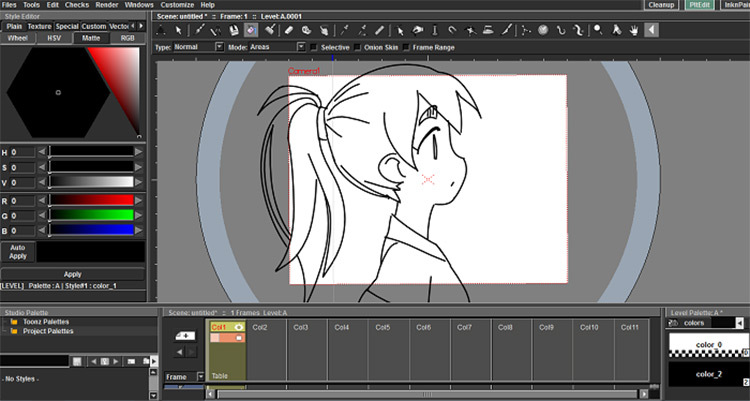 This program is incredibly versatile and it works exceptionally well for storyboarding. It can also be used as a true-blue animation program just like Adobe Animate or Toon Boom Animate. 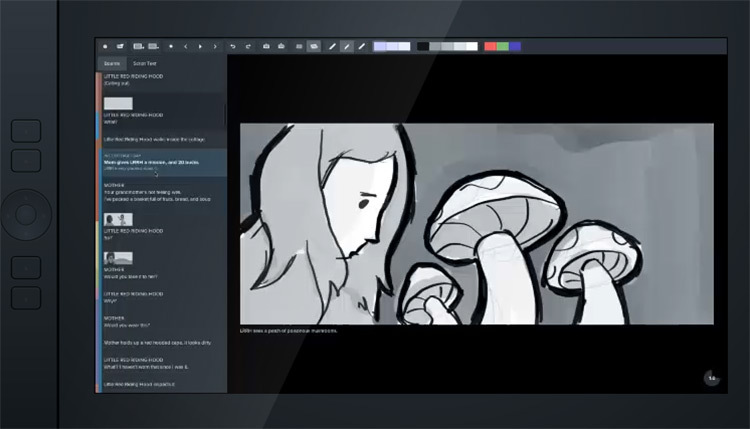 Anyone who wants to do professional storyboarding would do well with TVPaint’s many awesome features geared towards boarding & animatic creation. So why is this so far down on the list? Mostly it’s an issue of price. For the same $600 you could basically buy Toon Boom which is, in my opinion, more powerful and a preferred choice in the animation world. Yes there are major differences between the two programs and TVPaint does feel more like a “complete” animation package. It’s just tough to justify the price considering there are so many alternatives, even with limited features. Now TVPaint still made the list and for good reason. It’s a great piece of software! So it’s totally worth checking out if you’ve got the scratch or if you like what you see on their website. If you’re interested in serious 2D animation work or professional storyboarding then it’s worth looking into TVPaint. But if you’re a newbie to storyboarding I wouldn’t make this your first choice. Absolute newbies would do better with free programs like Storyboarder, Storyboard Fountain, or even Krita if you can find some templates. And no matter what stage you’re at with storyboarding I guarantee there’s a program in this list that’ll fit your needs. What is a Storyboard Revisionist?